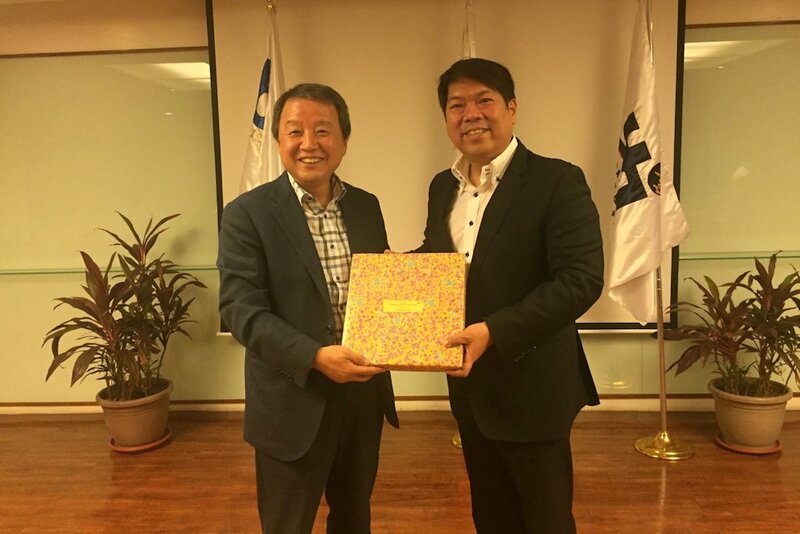 Officers of the Global Electric Vehicle Network (GEVERN), an electric vehicle group based in South Korea headed by its Chairman Daehwan Kim were in the Philippines recently to initiate talks with the Electric Vehicle Association of the Philippines, its counterpart group in the country. With him were Dr. Chun-Beom Lee, president of Dalum Technology and Dr. Ock Taeck Lim, assistant professor at the School of Mechanical and Automotive Engineering of the University of Ulsan. The group was welcomed by EVAP led by its President Rommel Juan together with representatives of Board of Investments headed by Director Angie Cayas of the International Investment Promotion Service and Lito Umali, chief of the Heavy Industries Division, Manufacturing Industries Service. There was a briefing at the BOI office where EVAP presented the EV industry development in the Philippines followed by a presentation by the Korean group on their EV initiatives, particularly in the Green City of Jeju which plans to have 100 percent electric vehicles by 2030. Chairman Kim explained that they see a very bright future for the Philippine EV industry: “We are interested in business opportunities available such as joint ventures with local EV players who can either distribute the products of our members or even manufacture and assemble them locally. We are excited by the large potential volume in the EJeepney and ETrike markets”. GEVERN was also in the Philippines to promote their 4th International Electric Vehicle Expo to be held at Jeju Island, South Korea from March 17 to 23, 2017. “We are coordinating with different EV groups worldwide in order to make the EV family stronger internationally”, Kim explains. The Korean group also proceeded to Muntinlupa City to observe its EV programs, specifically on a fleet of EJeepneys being operated in the city. They also went for an observation tour of the assembly plants of two EVAP members to see their facilities and production capabilities. “We are happy to exchange best practices and ideas with our Korean counterparts who share our advocacy of promoting EVs worldwide”, says Juan. “We also invited GEVERN to join our upcoming ASEAN EV Summit planned mid next year here in Manila”.